We invite all participants of the Challenge to join us! What did you enjoy about the Challenge? Theme or no theme – what seemed to work better? Did you find any great themes? Did you have fun and will you participate again next year? Your Reflections can be posted anytime from May 3 through May 10. We ask you to add the link to your post, not your website, once you have posted. The Challenge hosts read every one so we know where to improve for next year. This year’s A to Z Challenge was a lot of fun - and a lot of work. I’m thankful I had all of my post written and pre-scheduled by the middle of March. However this year I went into the A to Z as a co-host, which meant posting at the A to Z Blog, visiting a section of the list, and spreading the word. What felt overwhelming last year doubled for me this year. Without their help, there is no way I could’ve kept an eye on my sections of the list by myself. Keeping up with comments is always my biggest challenge. I would start the morning visiting a dozen or so of my favorite people. By the time I would return in the afternoon (I’m a business owner, and that comes first) it would take me the rest of the day to catch up with comments. I enjoyed some of the themes this year. People are just so creative! I was pleased to see people enjoying my theme. Some came for the tips, some came for the photo - either way, it’s all good. As for next year, I’ll be back. I’m not sure I’m up to hosting again though. I may be Hammy the Squirrel hopped up on energy drinks, but I can only do so much. I’ll make my decision sometime soon. As for everyone who visited me last month, thank you! I have a lot of new followers and will now have time to visit you. Remember to add the link to your exact post when entering it on the list! I’m also revealing the cover of Donna Hosie’s upcoming book. 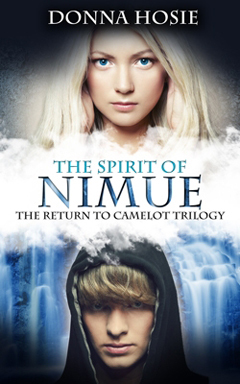 THE SPIRIT OF NIMUE will be released on Amazon on the 31 May 2013. It is the final book in THE RETURN TO CAMELOT trilogy. 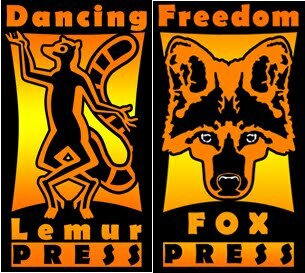 Thank you for your month of generous tips on how to market our books, but even more than that, thank you for your encouraging comments. Great idea to write those posts in advance! Loved your A-Z offerings: short, smart advice. I agree that keeping up with comments is tricky. I make visiting blogs on the linky list my priority, and then it leaves little time for anything else. Maybe I'll figure out to maintain a good balance next year! I sure enjoyed your photos, not needing writing tips and tricks. I enjoyed being a Spunky Soldier and hope I was helpful. I felt buried under comments as well. Glad you were a co-host this year! Thanks for the great job of hosting. It's a huge responsibility. Bravo to you L.Diane you rock! Visiting blogs isn't an easy feat even during normal events. Thanks for hosting. The challenge was tiring as a participant, I can't imagine how exhausting it would have been as a host. Melanie, thanks for visiting me almost every day. Elizabeth, there was no way I could've done it without scheduling in advance. Jo, you were very helpful. Hilary and Ella, thank you for buying my book. There were some great themes and ideas out there-- very impressive. I enjoyed your posts. I'm glad I was able to pitch in in some way! Keeping up with commenters was a struggle for me as well. It was only yesterday and the day before that I finished visiting everyone that had visited me in the last days of the Challenge. I enjoy following the challenge as a spectator. Can't say it led me to discover any new blogs though, too many of the ones I already follow were participating. I was interested to read your tips,It was a pleasure to read and take note. Well that's over for yet another year but I certainly won't forget it. Well done on doing such an amazing job! Doing the A-Z challenge is difficult enough without co-hosting it but you proved yourself yet again. Again, well done! I loved your tips. Looking forward to seeing what you've got lined up for us next. And well done to you and all those who committed the entire month of April to the challenge that brought further awareness of the alphabet with 26 letters. I have much admiration for those who did participate. What I would note is that I've observed a number of bloggers who seemed to put too much pressure on themselves. That's just not right. So I would hope folks who do contemplate doing this next year, at the very least, keep their postings brief and then interact as much as they can. I know you realise that my alternatives were actually promoting the A to Z and I want to thank you for being one of the few hosts to actually acknowledge what I was doing. I was trying to create some light-hearted relief for those who were struggling, or not struggling. Take care, Diane and a lovely weekend to you. Tony, either that or the Energizer Bunny. Golden Eagle, I know I've missed many who visited. Gary, I loved reading your backwards posts! They were funny. I knew you were supportive of what we were doing. Thanks so much for mentioning me, I had a lot of fun! Oh, and the pup came from Morganton, dead center of the state. Quite the drive, but totally worth it!! 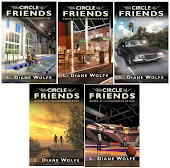 Well done Diane, I will definitely think about scheduling more posts well into the future, most of the fun was hopping around and seeing what everyone was up to, trying to make my posts just right took a lot more time than I anticipated but was such a rewarding experience. I participated back in '11 (I think), and scheduling the posts early was definitely the way to go. I enjoyed your helpful posts. I had all my posts written by the end of March. It really helped. Last year I did many posts last minute, but this year the challenge was practically a breeze. Yeah I can't imagine how you managed to get everything done. But congrats that you did! Congrats on getting through it all - love your blog. You were a great addition to this year's Team and I'd love to see you return. You had a terrific team assisting you as well. It was a daunting year, but another big success I think.